Namibia is a vast sparsely populated country bordered by South Africa in the South and south east, Botswana in the east, Angola and Zambia in the North and the cool Atlantic Ocean in the west. Namibia is the world’s 34th largest country measuring 825,418.00 square kilometres and is populated by only 2,030,700 people. This makes Namibia with its population density of just 2 people per square kilometre of land mass, the second least populated country after Mongolia on the planet. The Namib Desert & Sossusvlei - Along the coast of Namibia lies the majestic Namib Desert which is the oldest and one of the driest deserts on earth. This huge desert receives less than 10mm of rain a year and is almost entirely unpopulated. Even though the Namib is such a dry and inhospitable place it plays host to an amazing array of plant and animal life which have adapted over time to survive in this desert wonderland. The word Namib is truly vast, it stretches from the Orange River in the south to the Angolan border in the north for 2,080km. Some sand dunes found in the Namib can be as high as 300 meters and are among the tallest sand dunes found on the planet. Viewing a sunset or sunrise over the Sossusvlei dunes will leave you speechless. The kaleidoscope of colours reflecting of the desert landscape will capture your soul and leave you with a yearning to return to this place for the rest of your life. The best time to visit is between May - September when daily temperatures are cooler. Damaraland - Damaraland is a huge area with open plains and grassland, granite koppies, gorges and sandy regions in the west. This area amazingly sustains elephant, black rhino, giraffe, ostrich and springbok that have adapted to living in this harsh almost waterless landscape. Some of the must see destinations in Damaraland area Namibia's highest mountain Brandberg and its famous 'White Lady' Bushman Painting, Twyfelfontein and its many Bushman engravings, Spitzkoppe and the Petrified Forest . Swakopmund - Swakopmund is the premier holiday and recreation destination in Namibia. Swakopmund is home to fine hotels and guest houses, restaurants and art galleries. For the more adventurous Swakopmund is a veritable paradise and you can do sand-boarding, angling, hot air ballooning quad biking, parachuting and even shark fishing. Fish River Canyon - The Fish River Canyon is second largest canyon in the world behind the Grand Canyon and is 160km long and 27km wide. At its deepest point the Canyon measures 550 meters. Etosha National Park - The premier game viewing destination in Namibia is the Etosha National Park; Established in 1907 the Etosha National Park is one of finest game reserves in Southern Africa. The reserve covers 22 270 square km and hosts an amazing 114 mammal and 340 bird species as well as a plethora of different reptile and amphibian species. The game reserve has a massive salt/mineral pan that was originally a large inland lake that was fed by the Kunene River. When the river changed its course the lake dried up and left a dry pan that covers about 25% of the National Park. Where the lake once was there is now a depression consisting of salt and clay. The pan only fills when extremely heavy rain fall occurs and does not hold water for long before drying up again. This temporary water in the Pan attracts large numbers of flamingos and wading birds when it has water. The best time to visit Etosha is from May to September when the day temperatures are cooler. Game viewing in Etosha is very good with various buck species, elephant, giraffe, rhino, lion as well as leopard and cheetah to be seen. The leopard and cheetah can tend to be more elusive to find than the other species. Other areas of interest - the Kaokoland with its Himba people, The Kalahari Desert, Windhoek the countries capital, Luderitz & Kolmanskop, the Caprive Strip. 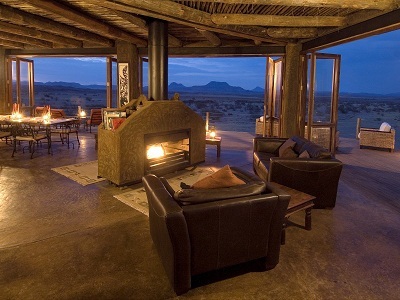 Namibia's weather mostly consists out of hot days and cool nights typical of semi desert environments. 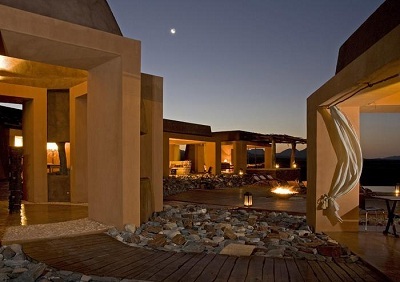 Namibia is a year round destination with an average of 300 days of sunshine per year. Summer is from October to April with daily temperatures that can reach 40º C. Winter is May to September with warm days and very cold nights with temperatures that can drop to below freezing at night. The interior has two rainy seasons the first is between October and the second season is from mid-January to April. The Namibian rainy seasons are typified by frequent short thunderstorms. The best time of the year to visit Namibia - Namibia's peak season runs from July to October. This period is known for good game viewing' in the Etosha National Park, Damaraland, Skeleton Coast and the Caprivi, it is also winter and temperatures are less extreme with warm days with ample sunshine and cool nights. 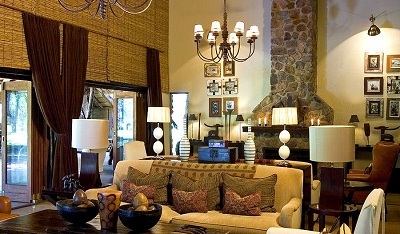 Traveling outside of these months will allow for better deals as far as accommodation is concerned. This is an extremely busy time so book well in advance. Namibia’s infrastructure is some of the best found in Africa. Namibia’s airports, railways and roads are being expanded and upgraded to accommodate an increasing influx of tourists into the country. Water - The water in Namibia is extremely palatable and is perfectly safe to drink, however should one be a little uneasy with tap water, bottled water is freely available. Electricity - 220 volts AC, 50hz. Outlets are of the round three-pin type. Getting there - Most tourists fly into Namibia at the Hosea Kutako International Airport situated 45km east of Windhoek. International flights arrive multiple times throughout the week from Johannesburg and Frankfurt via a number of carriers. Airlines with scheduled flights to Namibia include Air Namibia, British Airways, South African Airways, LTU and TAAG, the Angolan national airline. Flight Times from Windhoek to Frankfurt is about 11 hours, to London 12 hours and to the USA via Johannesburg about 19 hours. Passport Requirements - All visitors require a passport for entry into Namibia, which must be valid for at least 6 months beyond the intended stay in the county, and have sufficient pages for entry and exit stamps. All visitors must also have a valid return ticket. Visas are valid up to three months from the date of issue for stays of up to three months from date of entry. Extensions for a further three months are available from the Ministry of Home Affairs in Windhoek. Currency - Namibia is a member of the Southern African Common Monetary Area and the Namibian Dollar (NAD) is pegged 1:1 to the South African Rand (ZAR). Both the Namibian Dollar and South African Rand are legal tender in Namibia, but change will be given in Namibian Dollars. Banks in Namibia will convert Namibian Dollars for South African Rand and vice versa without charge or paperwork. Banks or currency exchanges outside Namibia charge a fee to change currency, so make use of a Namibian Bank before departing Windhoek. Automated teller machines are available in Windhoek, Swakopmund, Luderitz, Tsumeb, and other towns and cities. Malaria and bilharzia precautions while in Namibia - Malaria in Namibia is primarily found to the northern parts of the country. In some places in the north-eastern Kavango Region and in the Kwando-Linyanti-System Bilharzia occurs. It is transmitted by worms that occur in stagnant water. 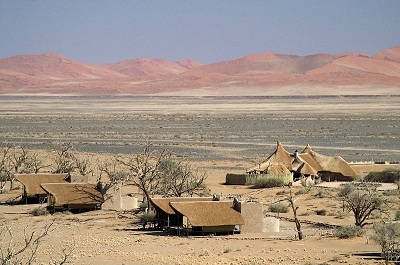 Population of Namibia - The majority of the Namibian population is of Bantu speaking origin. The Ovambo tribe forms about half of the population and they mainly reside in the north of the country, although many now live throughout Namibia. Other ethnic groups are the Herero and Himba people, who speak a similar language, and the Damara, who speak the same "click" language as the Nama. There are large groups of Khoisan (such as Nama and Bushmen), who are descendants of the original inhabitants of Southern Africa. The country also contains some descendants of refugees from Angola. There are also two smaller groups of people with mixed racial origins, called "Coloureds" and "Basters as well as a large Chinese population Whites of Afrikaner, German, British and Portuguese, ancestry make up about 6.4% of the population Most Namibian whites and nearly all those of mixed race speak Afrikaans and share similar origins, culture, and religion as the white and coloured populations of South Africa.